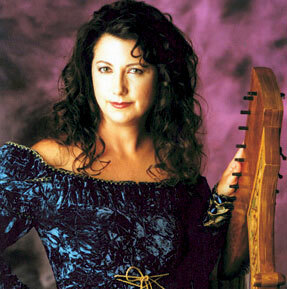 Lori Pappajohn has performed throughout Canada, the United States, Britain and Chile. She is director of Winter Harp as well as North America’s premier harp ensemble, Harps International, which also features Jill Whitman. The trio has performed at numerous major festivals including opening for the 1997 International Jazz and Pop Harp Conference and being featured at the World Harp Congress and the International Folk Harp Conference. The trio has toured Canada wide for Community Concerts, a division of Columbia Artists. A composer and an award-winning journalist, Lori Pappajohn has two internationally-released recordings and has produced the documentary The Minstrel’s Dream about the origin of the harp. Noteable Entertainment & Events is a Vancouver based booking agency, party rental, entertainment services and event production company. If you are interested in booking Lori Pappajohn please contact us.